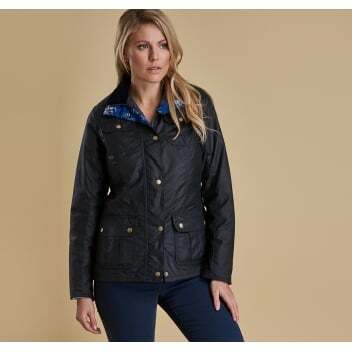 The Susannah Wax Jacket from Barbour comes from the much loved Wedgewood Collection for this Autumn/Winter. A wax jacket is an iconic wardrobe essential and this gorgeous example has been given a modern look with its beautiful styling. Featuring a striking Wedgwood floral lining and velvet trims this jacket is finished with a hidden zip fastening, 4 front pockets and embroidered Barbour branding.